Last night I saw an intriguing tweet from @mr_chadwick . Mr Chadwick is a primary teacher and he was worried that his daughter who is in year 8 was still multiplying using the grid method. This caused a fascinating conversation regarding the different methods of completing multiplication tasks and the pros and cons of each and it got me thinking quite a lot about the subject. 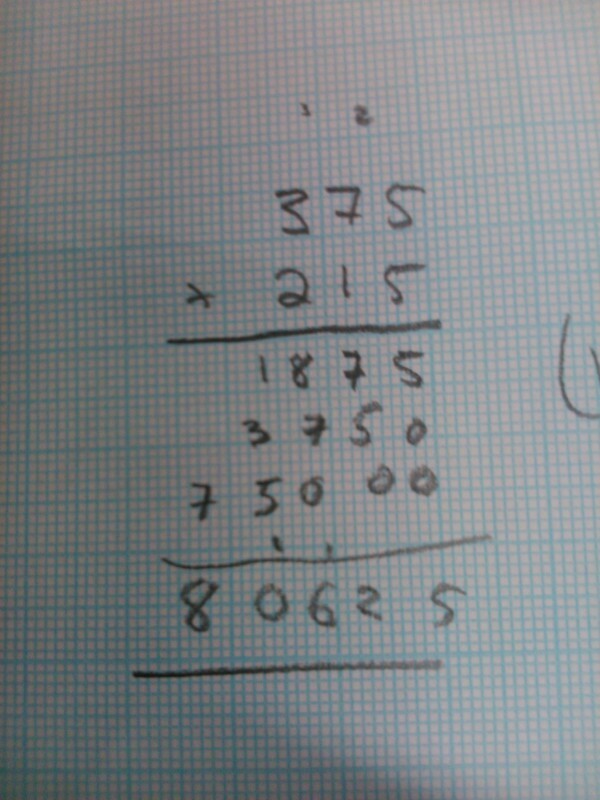 There are many ways to complete multiplication problems, the main ones being Grid, Column (aka Standard or Long), and Chinese Grid (or Spagetti Method or Lattice Method). (Also, I have recently been shown this ancient method by an A Level pupil who grew up in the Democratic Republic of Congo). 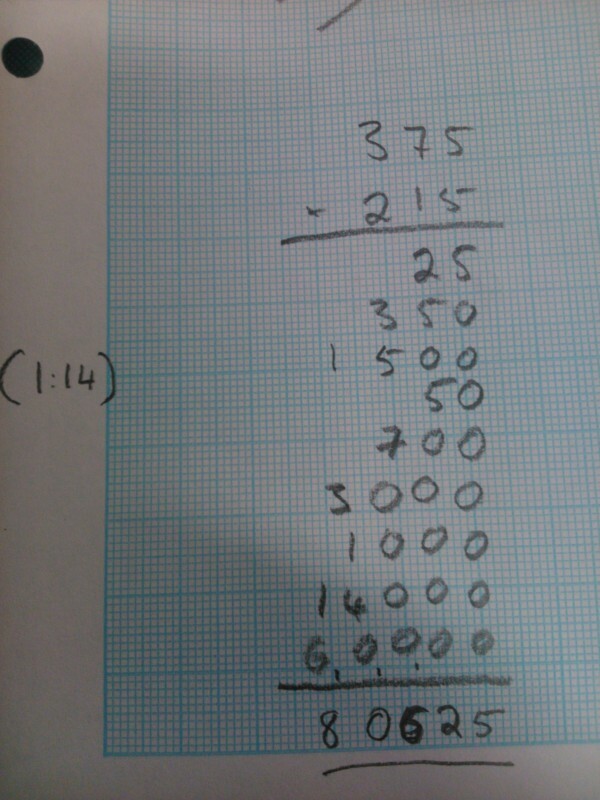 Each method took me a little over a minute to compute the product of 2 three digit numbers. 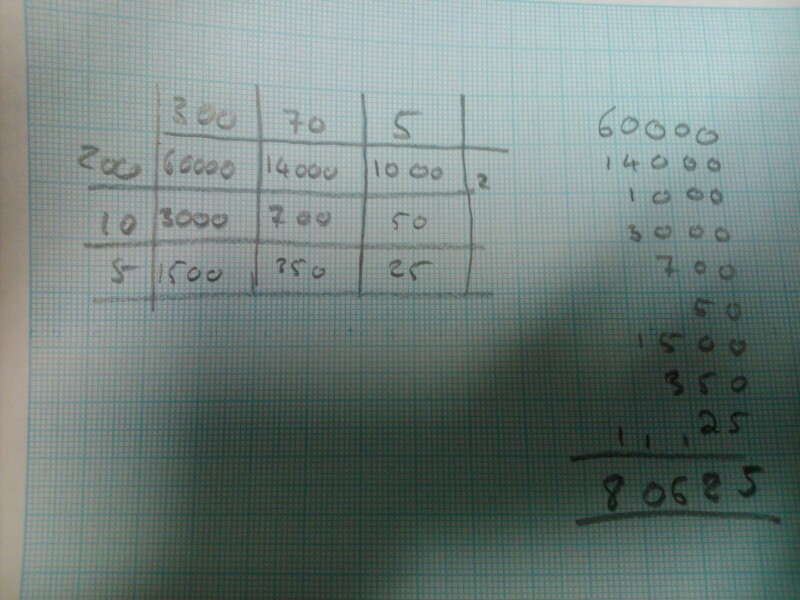 (Except the grid method which took about 15 seconds longer). From experience I know that people tend to prefer the method they were shown first, and I don’t see a problem using any of them as long as there is an understanding of the concepts and that the person in question is proficient at using the method they have chosen. I did think my prefered method for teaching someone who didn’t know any methods would be the Lattice Method, as I see a much larger potential for silly errors in the other methods than i do for this, but last nights discussion has got me thinking a little differently. The discussion moved onto applications in algebra. I know a lot of people prefer to use the grid method to expand double brackets, I personally prefer crab claw method, but i teach both and allow my students to decide, and some much preefer the grid. It also works quite well for larger polynomials, as shown here (in a video which rather confusingly calls it the lattice method!). 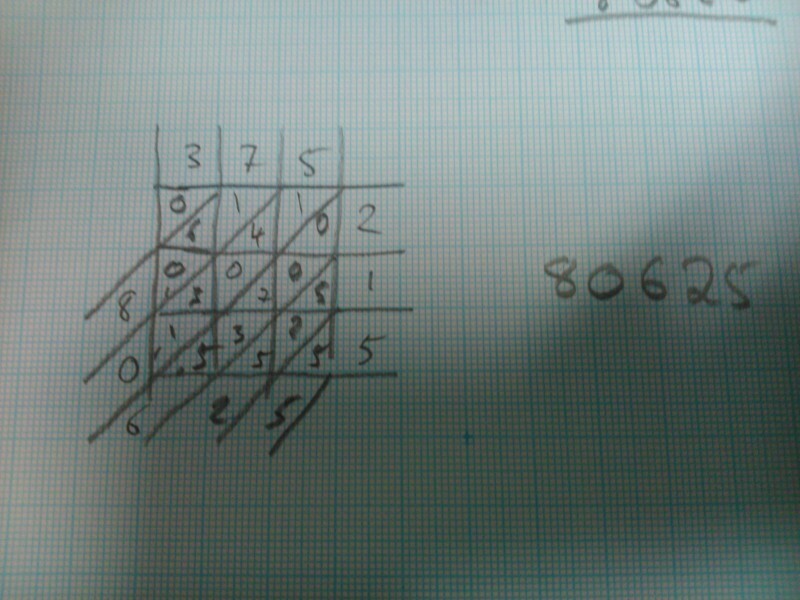 The grid method can also be applied to matrices, as I have written about previously. I’m still unsure as to which i prefer. The Lattice method gives a far lower chance of making silly errors, and I think it is the best one fro ensuring the decimal point ends up in the correct place when multiplying decimals, but the grid does have the benefits of being applied to much higher levels! I’d welcome your views on the subject.